And this is how my classes “met” Alex Overwijk, a World Freehand Circle Drawing Champion, and a fine math teacher I had the opportunity to meet at this summer’s Twitter Math Camp. How would we judge the roundest circle contest? One student suggested using a compass to make a similar, perfect circle. 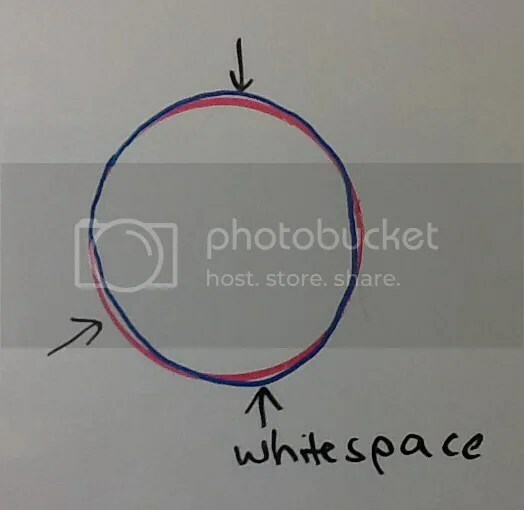 Piggy-backing, another student thought we could then somehow measure the “white space” between a drawn circle and a perfect circle? But what radius should we use? And how do we determine the center of an imperfect circle? So many great questions. To close the opener, I shared how calculus – a few years down the road – will provide some structure for finding unusual areas. Always fun to provide some math seeds for experiences down the road. great way to set the hook with your students, Bob. Were they eating this up? There is a website and app for drawing circles….Circle Draw, I believe. The app shows the algorithm used to determine how good the circle is. I liked this a lot. Interesting discussion in my College Algebra about it.